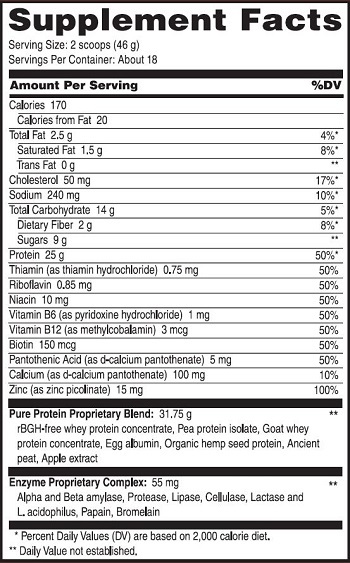 • Add 2 scoop(s) of Pure Protein Complete to 8 oz. of cold water. • May also be mixed with rice, almond, or other milk. • Shake or stir until smooth. For a smooth shake, use the new YL Shaker Bottle. • For added flavor, add fruit or essential oils. • Blend with ice for a nice shake.